Gloucester Rugby Heritage was originally set up as part of Friends of Gloucestershire Archives, but by 2015 it was evident that Gloucester Rugby Heritage had developed to the point where it could stand on its own feet, and that the Friends had a new focus in organising a substantial redevelopment of Gloucestershire Archives. So it was agreed that the two organisations should now operate separately and an amicable divorce was arranged. The Charity Commission had recently introduced a new type of charity known as a Charitable Incorporated Organisation (CIO). 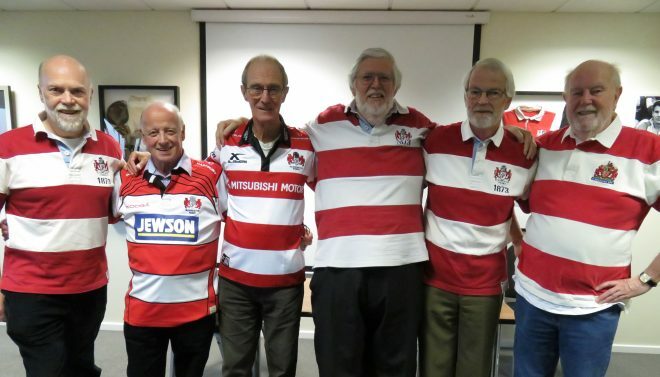 The Friends converted into a CIO first, and Gloucester Rugby Heritage (GRH) followed, gaining registration with the Charity Commissioners as GRH CIO on 31st August 2016. The declared object of the GRH CIO is to advance the education of the public in the history of Gloucester Rugby Club and the part it has played in the life of the City of Gloucester and the County of Gloucestershire, by collecting, preserving and sharing its heritage.